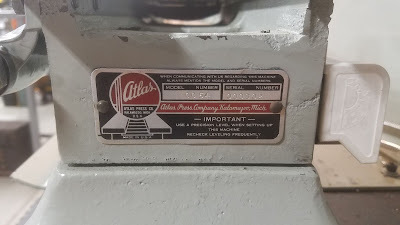 We rescued an early production model of the Atlas Quickchange 54 from a basement in Northeast Portland earlier this year. With a swing of 10-1/4" over bed and 36" between centers, it required complete disassembly in order to get it up the very narrow stairs. The electric motor and the bench the lathe is mounted on are not original, but are very well constructed and integrated. Everything came apart fairly easily, and went back together without issue. It is in surprisingly good condition considering the humidity of the Pacific Northwest. While the ways have certainly seen use over the last 70 or so years, the critical surfaces have been maintained well, and show no signs of mistreatment. The repainting it received at some point has kept surface rust to a minimum and makes it look a lot newer than it is. To obtain my manual machining certificate I had to machine a Stirling engine assembly from scratch on only manual machines. 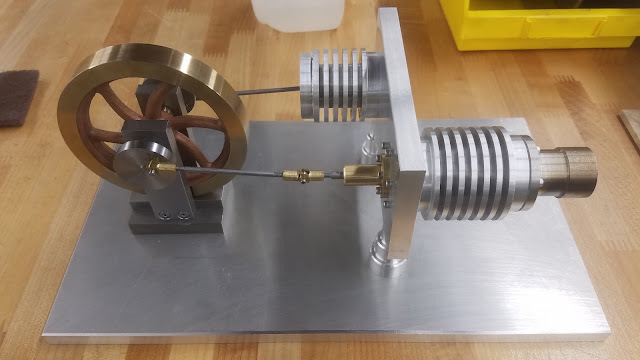 The Stirling engine can be powered by any heat source, and can run reliably with proper lubrication without producing any waste or pollution, by using heat expansion in a displacer cylinder to push air to the power cylinder. the entire assembly consists of 28 pieces. Excluding the cast bronze flywheel and precision ground drill rod, everything was machined from billet material. The material type for the machined pieces include silicone bronze, C36000 brass, 6061 aluminum, graphite, 1018 mild steel, 303 stainless steel, and M1 high speed steel. The tolerances for these pieces vary quite wildly, and can be separated into tight, medium, and loose categories. Starting with loose tolerance components are the base and the bulkhead pillars. Here at CravenSpeed, we like to tinker. Whether it's our shop made Stubby box folder, our custom Arduino bubble hockey table, or even a new product, we've always got an interesting project to work on. This blog is where we will share a behind the scenes look at what we are working on in the shop.